If all you had to go on was that album title and cover art, you might expect some hazy dream pop here or sweet nothings about love, something ‘nice’. Instead there is squealing feedback, feral screaming and punk rock made to make your skin crawl. Endon are going to give some unsuspecting folks whiplash. Of course, those that caught even a second of the Japanese collective’s last album will be somewhat prepared- ‘Through the Mirror’ was gory, glorious noise- but this, if it’s at all possible, is an even more odd and disconcerting effort. There’s less grind and more punk, less blood red and more neon pink, less cinematic scale, more TV party. By further comparison ‘Boy Meets Girl’ is fascinatingly sparse in spots. Where ‘Through the Mirror’ filled the sonic range, a wall, a whirlwind, this thing jabs and pokes and leaves dark spaces where you shouldn’t feel safe walking alone. Sure, the opening title track unfurls from a cloud of static and hisses like a cornered animal, but instead of building into some epic thing, it pushes a fuzzy grunge riff into overdrive until it falls apart. It’s ugly and in-your-face but it’s not the last time that ‘Boy Meets Girl’ is reminiscent of those extended Nirvana jams where the grunge icons found beauty in chaos over and over and over again. It might be an allergic reaction. Endon found themselves occasionally, unwantedly lumped in with an increasingly popular post-black metal sound over the last two years and this entire half hour of power feels like a conscious, coarse, angular kick away from that. ‘Heart Shaped Brain’ doesn’t shimmer or soar, it’s a lost punk classic played at full volume three doors down. ‘Final Acting Out’ is some mutant version of rock’n’roll, a cowboy’s worst nightmare, and noises fall off ‘Love Amnesia’ like parts from an old car. No one can accuse Endon of sounding like Deafheaven now. There’s no overemphasising how deadly and direct all of this is. 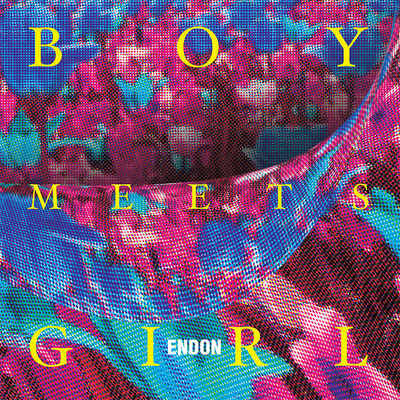 Endon want to challenge you, ‘Boy Meets Girl’ will keep pushing until you turn the volume down, and the red-lining, white-knuckle production job makes everything feel so incredibly close- halfway through ‘Born Again’ it feels like you’re being pushed into traffic and the hyperventilating that starts 12-minute stress test ‘Doubts as a Source’ could be band frontman and talisman Taichi Nagura breathing down your neck. The band move so fast here- this is definitely a sprint not a marathon- that they shouldn’t be able to make such a mark but ‘Boy Meets Girl’ will stick with you, or at least stick in you, difficult to digest, impossible to ignore.